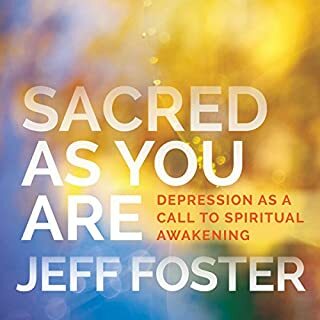 In small venues throughout the UK and Europe, a young teacher named Jeff Foster is quietly awakening a new generation of spiritual inquirers to the experience of abiding presence and peace in our ever-shifting world. 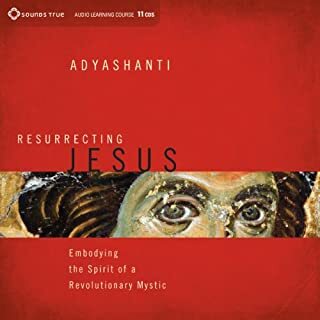 His informal gatherings, blogs, and “kitchen-table video posts” have created a rising tide of interest in his teachings. 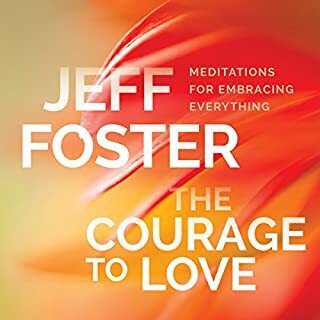 While Jeff delightfully admits the irony of an audio program to convey something that is beyond words to teach, here he confirms his ability to guide us in unexpected new ways to a space of absolute acceptance and joy, no matter what’s happening in our lives. 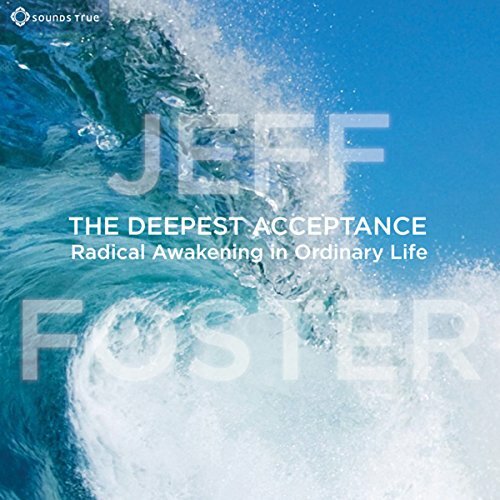 Those who enjoy spoken-word teachings will find this original audio edition of Jeff Foster’s book especially engaging. 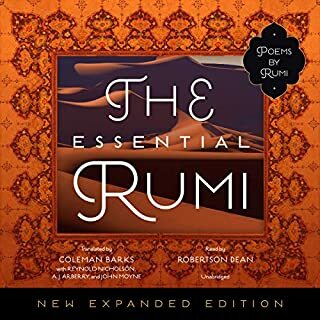 Here, he guides us in the spirit of his spontaneous talks and dialogs, into the direct experience of deepest acceptance. The teaching of this podcast is very deep but very simple. It does go on for a bit in circles, but that's necessary for the mind to break out of its stubborn trance. I would of enjoyed hearing more about overcoming trauma but one can apply the teaching in even accepting the pain of a traumatic experience and accepting the inability to know how to heal the trauma too. Read this book. Read "The disappearance of the universe " and read "The unterhered soul"
Combine the knowledge of these three books, and end your spiritual search. 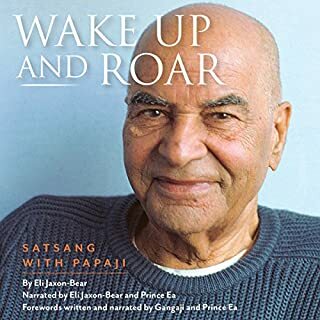 Everything about this book breaks the mold of traditional teachings about awakening. The author is the narrator. His enthusiasm and vitality shine all the way through. Easy as pie to understand right off the bat,as there are none of the traditional terms to learn nor traditional terms used in a new way. One can pick it up and use it after just one chapter. 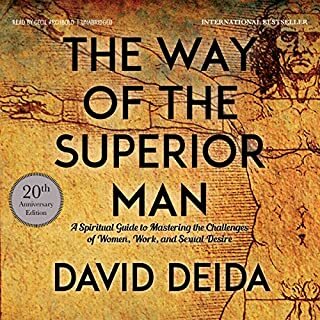 I've studied and practiced a lot of different teachings on this subject and was often at a loss as to how to apply there understanding to my everyday life. Not so with Jeff Fosters's approach. 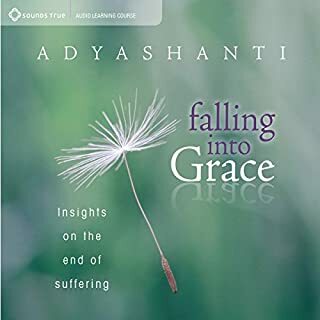 I could start using it right away, and by the end of the book, he had covered every area and circumstance that i have ever found myself in or find myself in, today. I don't need any of the hundreds of books and recordings I have waded through for the last 33 years! 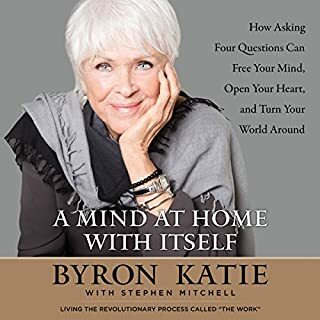 Are you interested of listening to hours of your true nature talking to you through a different body mind than yours? 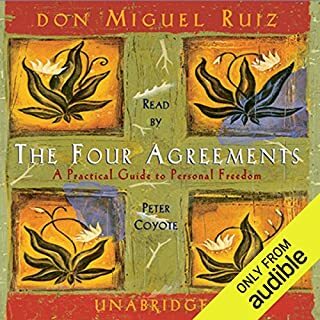 If you are, then this is the right audiobook for you. If you have never heard of Jeff Foster then I think this would be a great introduction to his work. 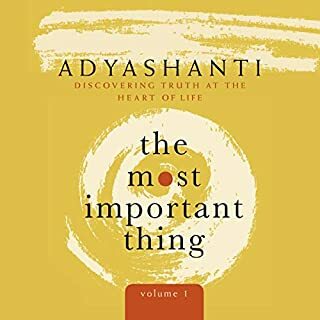 I am a deep and committed follower of Adyashanti, if you like his or Eckhart Tolle's work you should like this. Jeff does get very, very repetitive about the wave and ocean analogy, but you can't really blame him because the apology is as good as any other that describes what's it's like to experience from our true nature. The book was so expensive. He seems like a kind and gentle soul, but he repeats the same stuff over and over again and his voice starts to really push down, rather than lift up. I am so determined to overcome some issues that have been plaguing me and I believe mindfulness and meditation are the best paths forward. For that reason I was determined to hang in there. But I could only get about halfway through and had to stop. I couldn't listen to it for another minute. 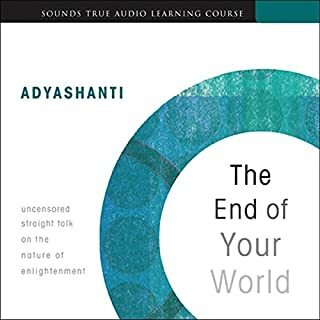 I really did not find this audio book to be helpful. I'm open to many new ideas. I love Pema Chodron, and will probably listen to all of her stuff. Please see first comment above. 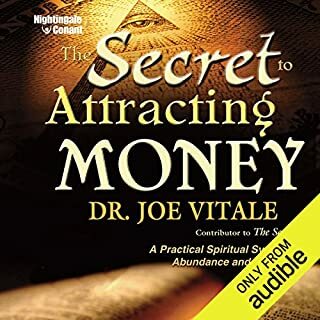 I wish him only the best, but this audio book was expensive, and I felt the review of it was necessary for future potential consumers. I bought the Kindle edition of the book 1-2 years ago but never got around to finishing it (just read small sections). 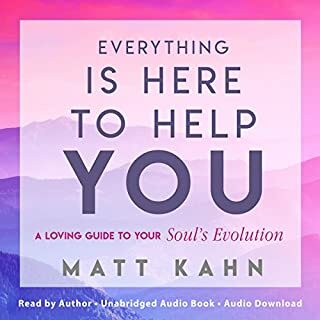 When I saw this audio version [has the exact title of the Kindle version], I thought of getting it and listen to the sections I skipped from the book but so far - I got the audio version yesterday - I found that the audio and the Kindle versions do not match. It usually is not the case. What did you love best about The Deepest Acceptance? 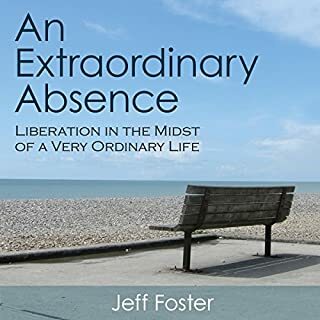 Foster really addresses the core of the free life, acceptance, in a way that is accessible to the layman and practitioner a like. 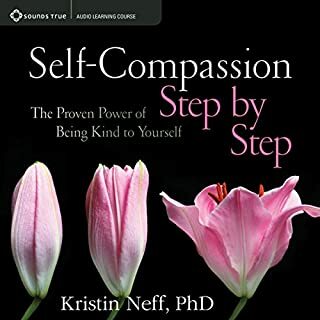 Spoken with a peaceful British accent, it's an inviting audio that reminded me to be gentle with myself and lured me into self-acceptance in a refreshing way. 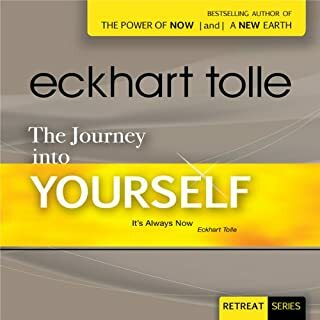 He busts the common myth of good vs. bad emotion, and really drives home that acceptance in the here and now is the ideal orientation...rather than trying to be happy all the time. Have you listened to any of Jeff Foster’s other performances before? How does this one compare? No. This is my first time to hear Jeff Foster. That every situation, every emotion that comes up during the day, is just a wave in the ocean that is life. Resisting a situation or an emotion, is as futile as resisting a wave in the open water. Recognize every wave is a part of who I am, and accept what I'm feeling and going through, in the here and now. The audiobook seems repetitive to me. Seems like he's saying essentially the same thing many times over. It's a good message to hear though. I know most of his listeners loved this book, based on the stars, but I found it to be repetitive and not very engaging. I got the whole idea of being the ocean and not the waves, but it didn’t resonate that much for me, so the repetition of this idea (I hung in there for six chapters) was tiresome. I wouldn’t recommend listening to this while driving, either, as the author’s voice was a bit hypnotic. 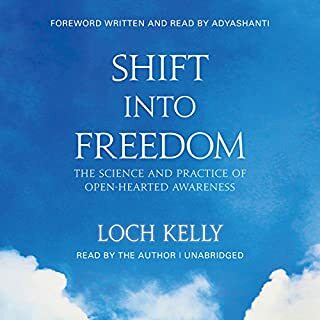 This book has helped me to realize that whatever I might be feeling at this moment is ok, to accept and embrace whatever this moment brings. It's really helped me to live at peace inside. I know others complain this book is a bit redundant, and indeed it is. Although I must admit I haven't had a problem with it myself. I’ll be listening to this again and again. So comforting to just be ok with everything as it is. Fear, pain, loneliness, doubt, everything is ok, allowable and acceptable. So reassuring and encouraging to just let be whatever is happening. I love listening to Jeff because I start to feel what he describes. A deep acceptance of all the waves that appear in the vast ocean. This is a wonderful feeling of safety-when the argument against what is arising is dropped.